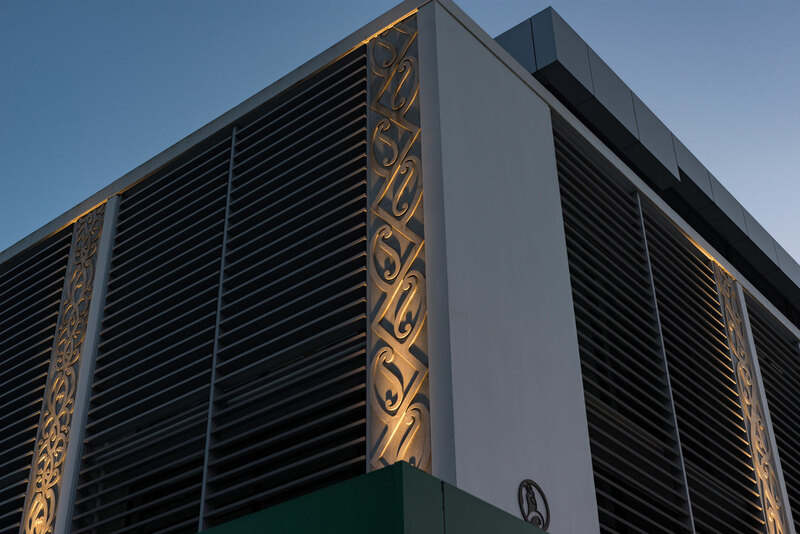 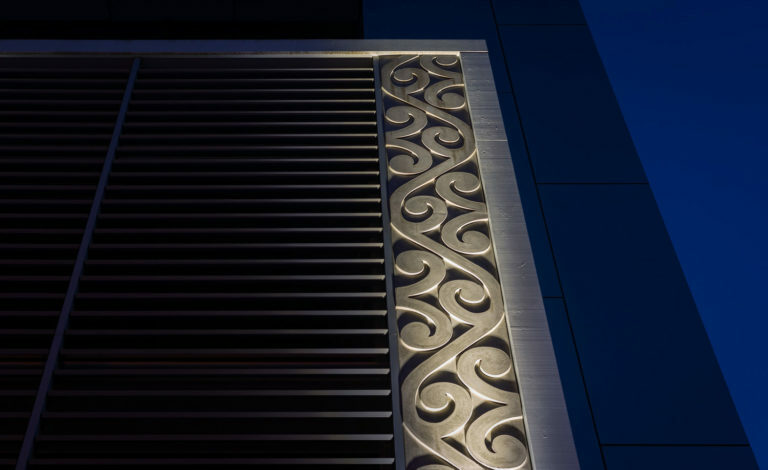 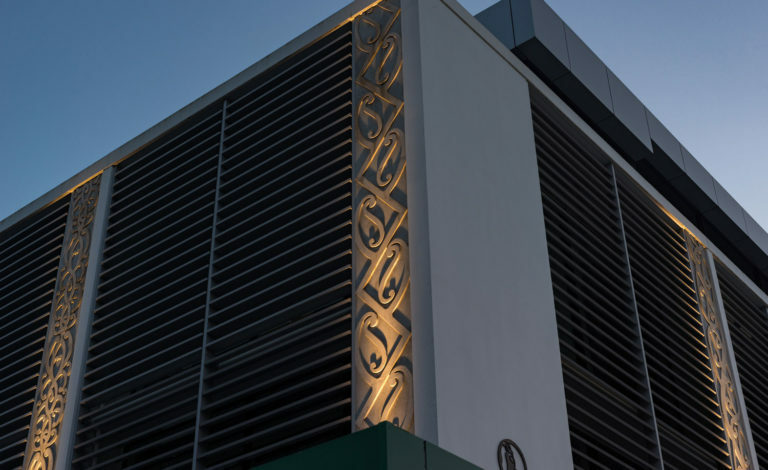 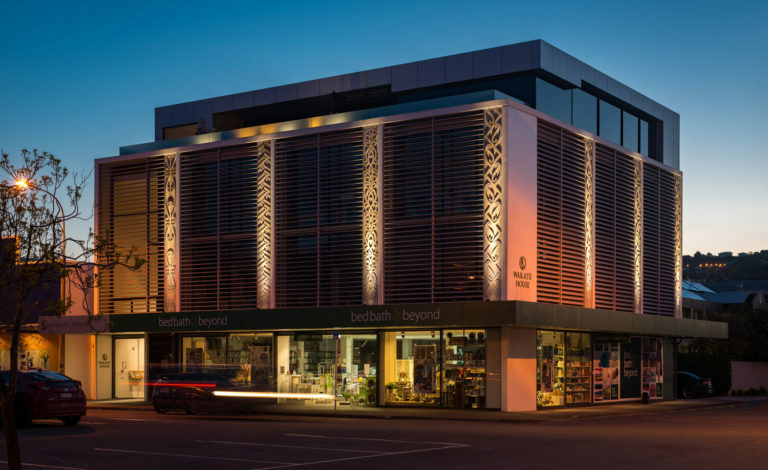 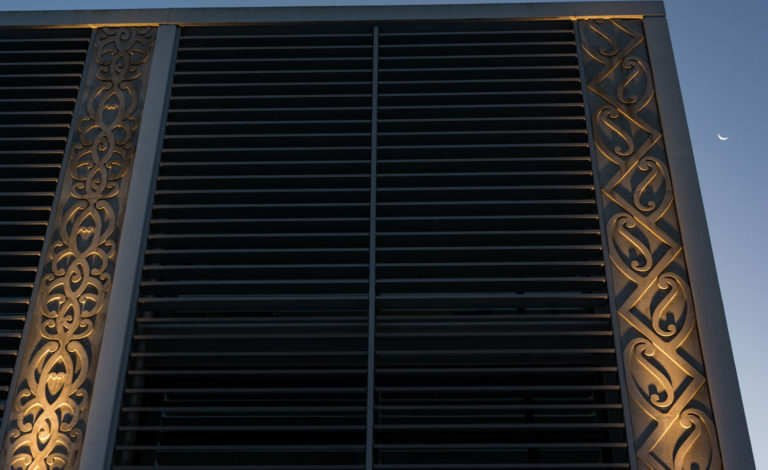 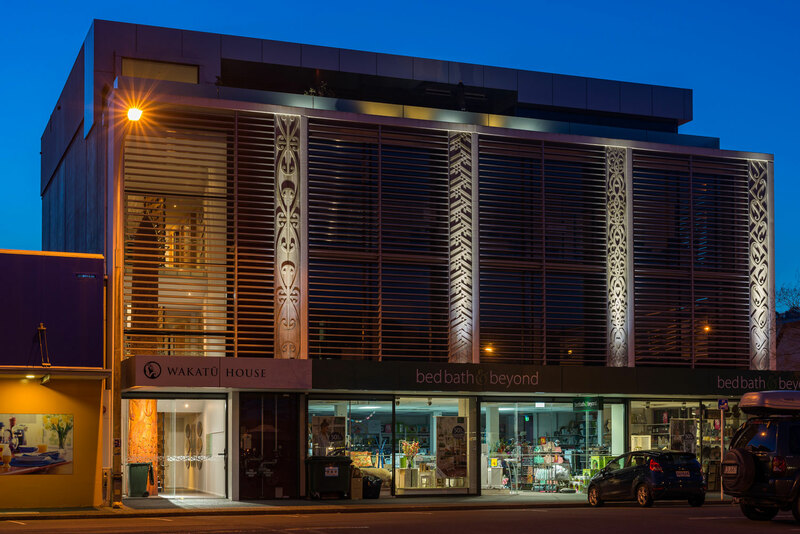 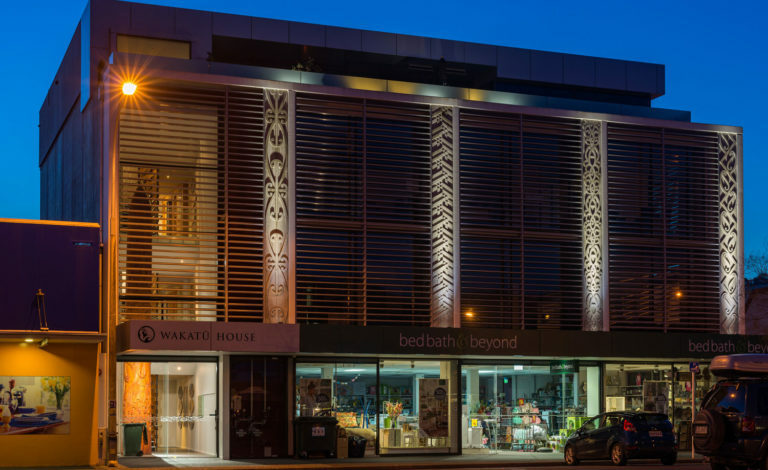 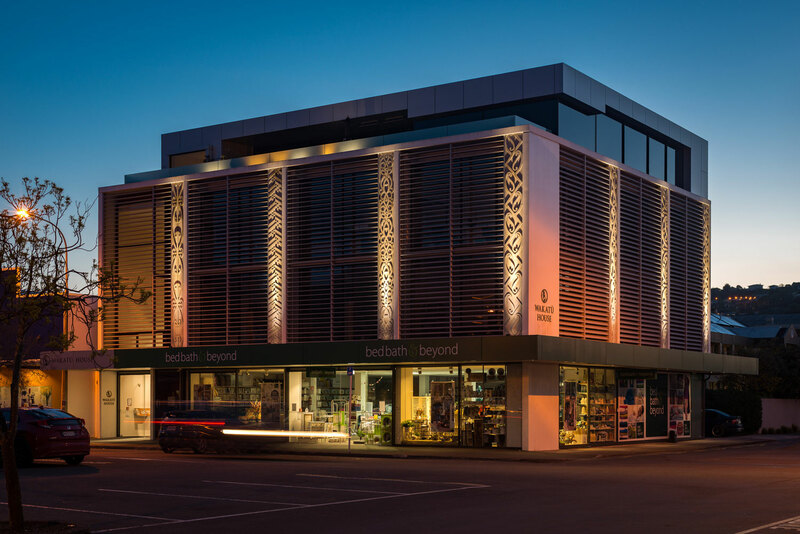 Our brief for this small project was to light up the seven significant concrete columns on the exterior of the Wakatu Building. 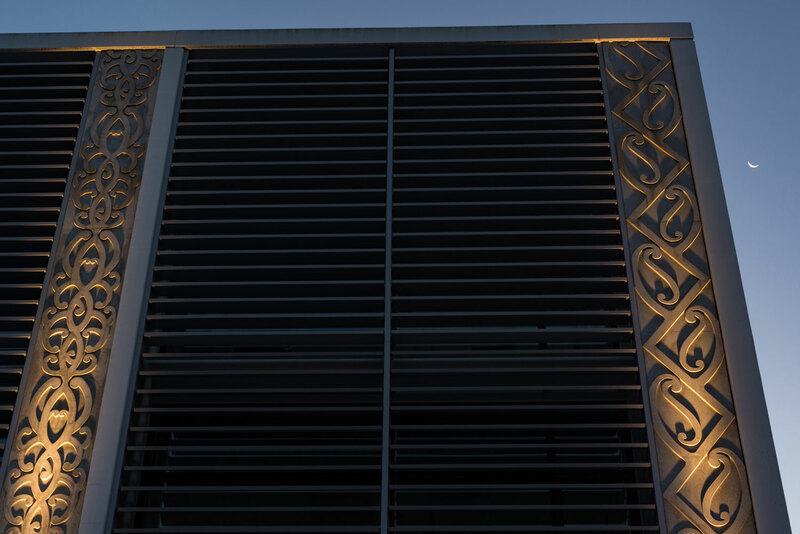 These works of art have a special significance to the local Iwi, with each of the seven in the region being represented on one of these panels. 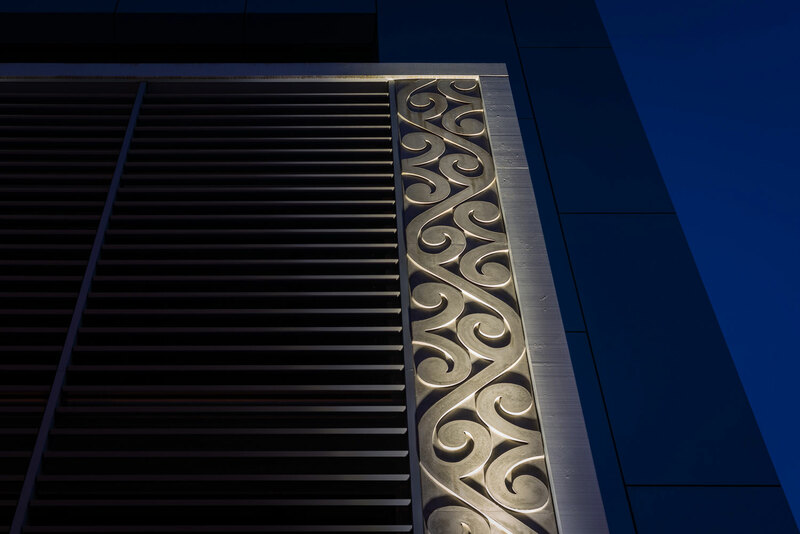 A lighting design was modelled to ensure only the art works themselves were lit up at night to create the dramatic effect required.